Published 17. October 2012 at 960 × 720 in Intern Field Trip to Long Beach. 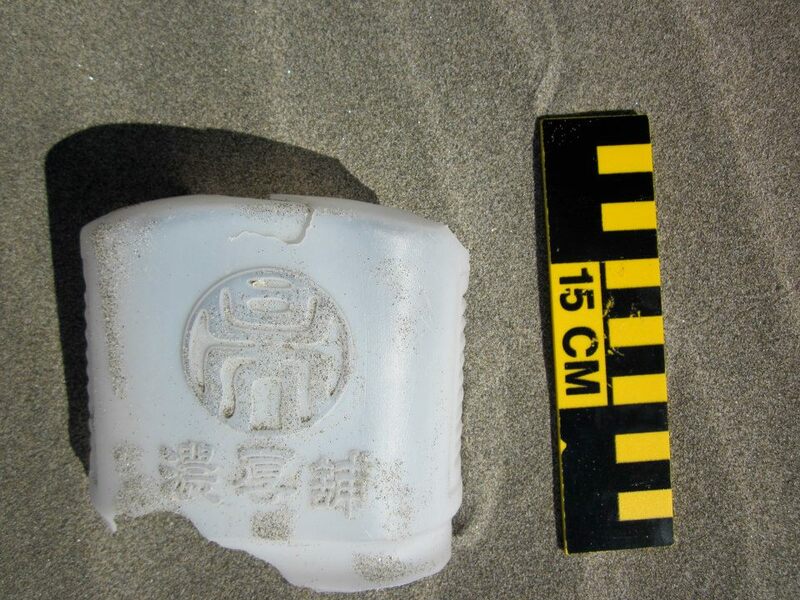 Marine debris from Taiwan washed up on the Washington coast. A former COASST intern translated the characters for us, which say: “Jellygrass Tea Shop.” With this info we were able to search for this tea shop online. Check out the next photo so see what we found!